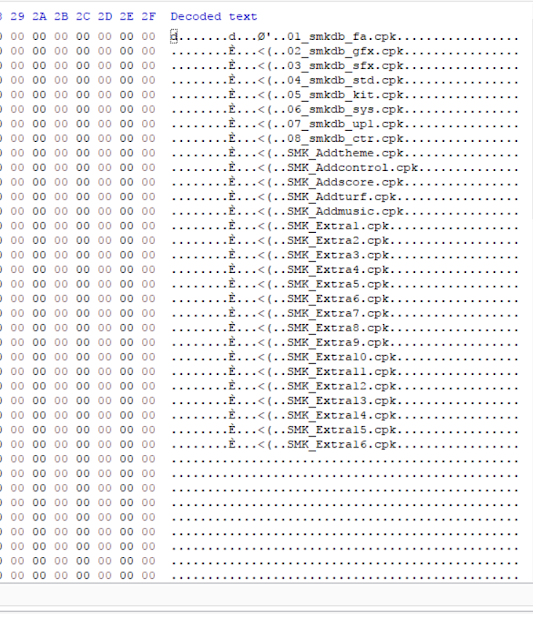 the dpfilelist is a bin file that contains the list of the CPK files in the download folder of the game, smoke patch installs this file so the game would recognize the patch cpk files as intended. this file also define the cpk files by order of priority, the same file might be present in two cpk files but one of them will work depending on the file priority. 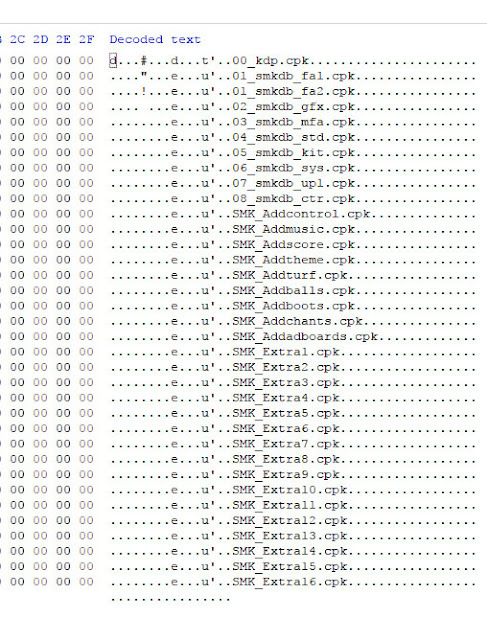 we create this file with Hexadecimal editor using hex values, when we make addons or updates for the patch we assume that this file is intact and not modified, so if it was changed (or generated) then file order might be changed and this causes a lot of problem for the user, like crash in master league or game not starting at kick off or other bugs, this is why we always make cautions not to edit it. 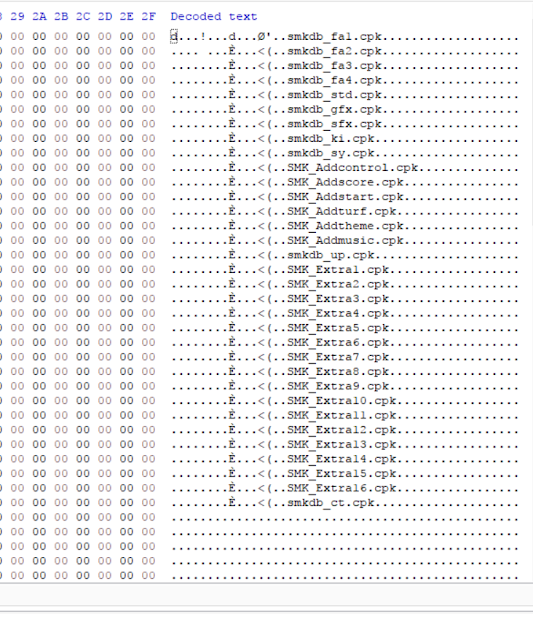 however as many still do generate this file without knowing how it works, so we created the extra cpk system, that is adding 16 empty cpk files in highest priority so the users can add things simply by renaming the cpk file and replacing one of the extra cpk files. 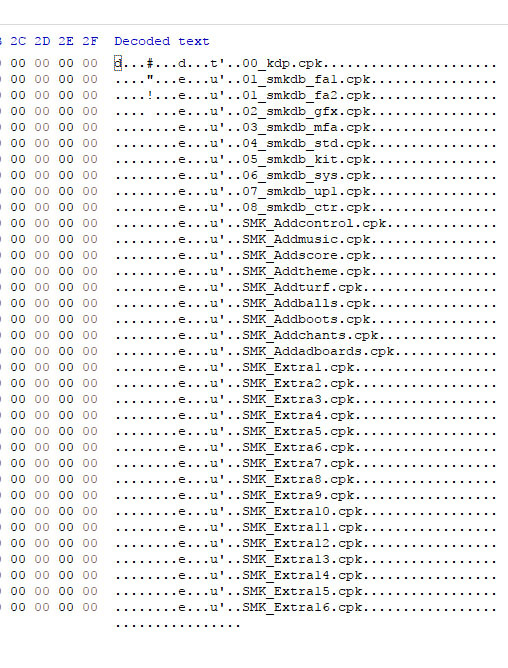 if you still prefer using tools or organizing the cpk files on your own (advanced user), then be sure the cpk files of the patch are in the correct order as shown in the images below, with the bottom list files have highest priority. 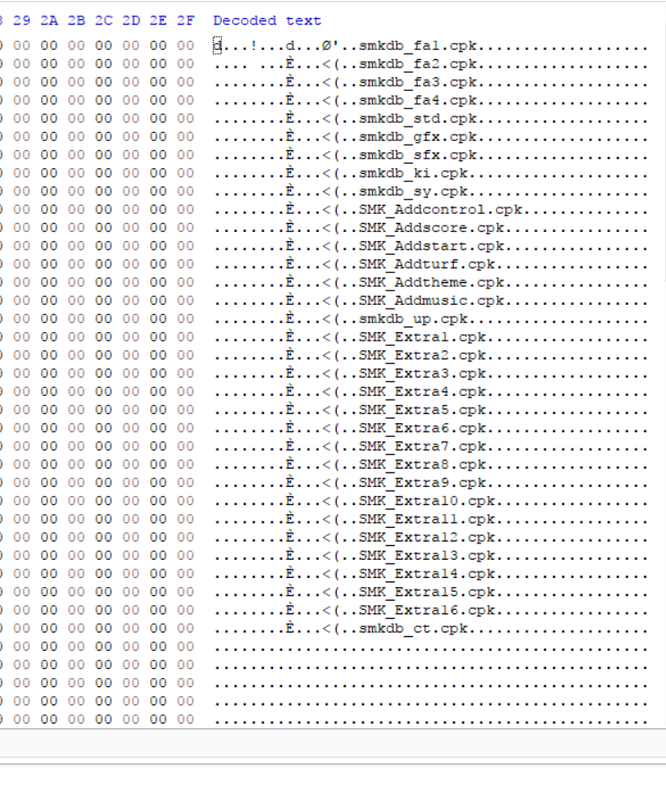 it is worth mentioning that adding other things comes at your own risk, because we do not test the patch with things not done by the team, so if you get errors be sure to test this with unchanged patch to be sure this problem is with the files or not. awesome job ~ can you make more empty cpk? 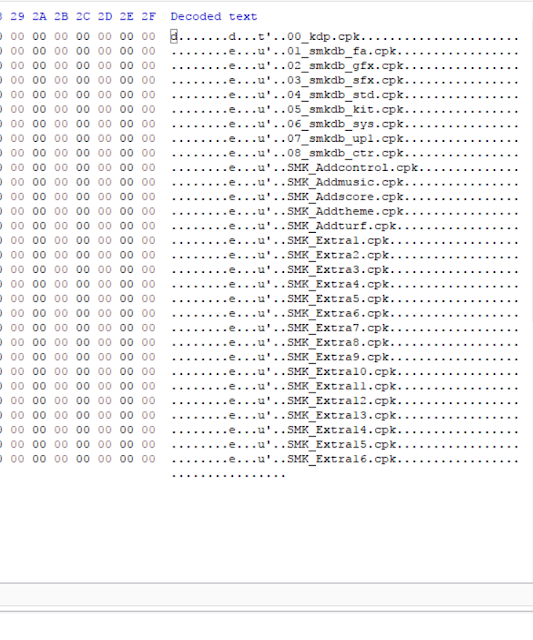 Until now, i don't know what is smkdb_ct?